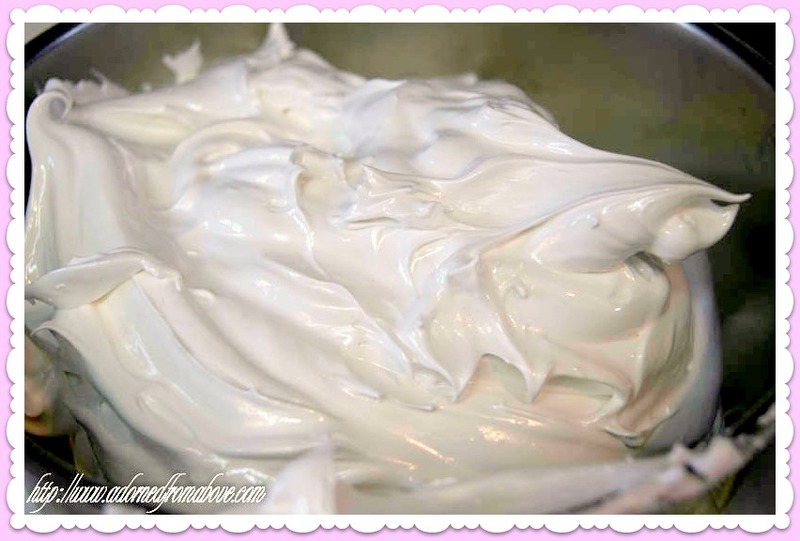 This is my Aunt Laura's delicious recipe for 7 Minute Frosting and it came out so good. It tastes like marshmallow and is soft and fluffy and absolutely delicious. It was great on the Ombre Pink Lemonade Zebra Cake. It is actually the perfect frosting for this cake. Put all of you ingredients in the top of a double boiler. Beat with a hand held mixer for one minute and then place it over the double boiler. 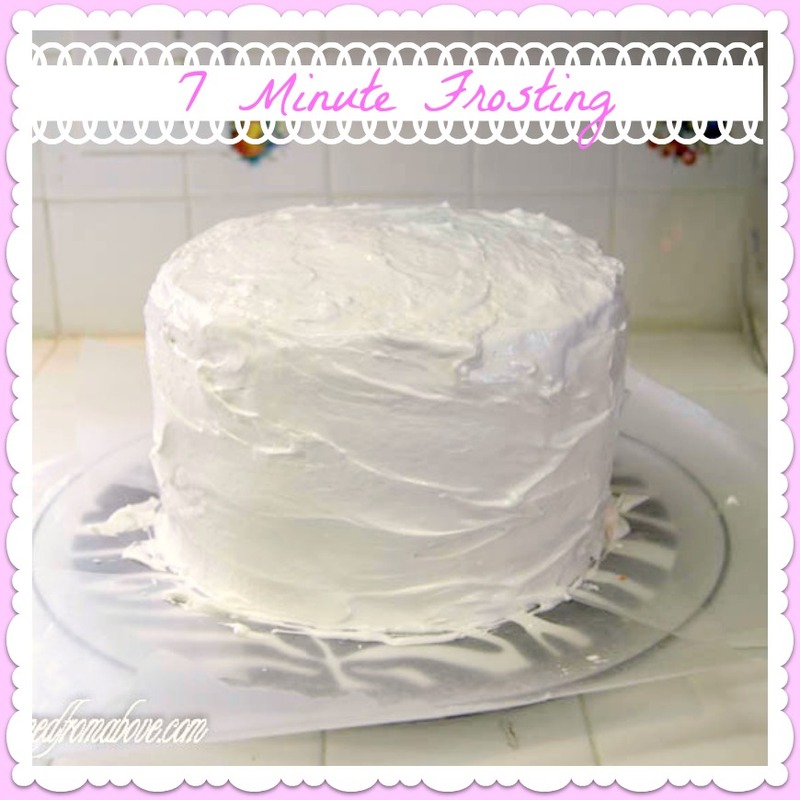 Beat with an electric mixer for 7 minutes or until stiff and holds its shape. Add the vanilla at the end and make sure that it is completely mixed into the frosting. My Aunt's 7 Minute Frosting was so good with this cake. I hope you like the recipe also. It would go great with any cake. I always love hearing from you. This looks yummy and easy. Thanks for sharing the recipe. I can't wait to try it. WOW, you have had some pretty yummy looking posts of late!! Thanks so much for stopping by!